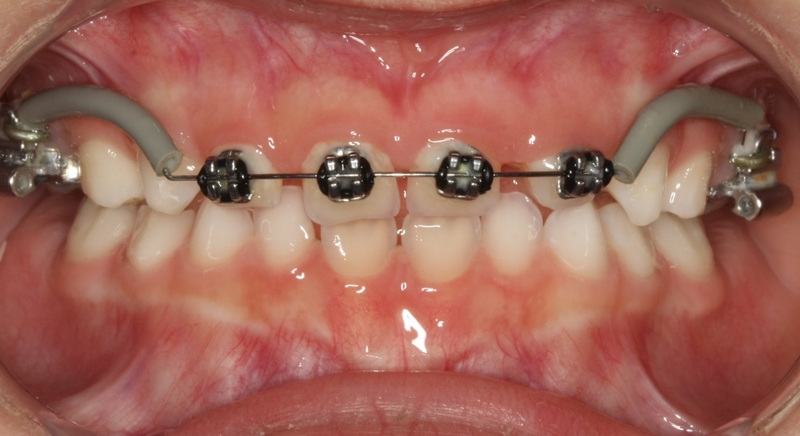 Orthodontic problems can be identified in children as early ages and successfully treated at that time. At Dahm Dental, early intervention is our philosophy whenever it is appropriate. 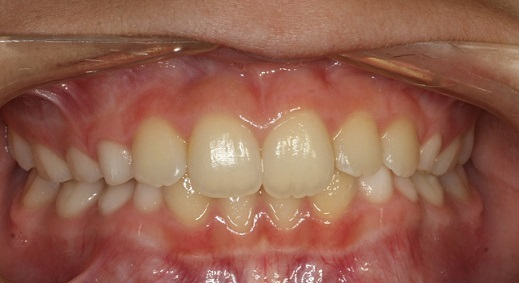 Facial growth problems lead to bite problems as the teeth are carried by the jaws. Therefore, when the jaws are out of place, dental problems appear. This is why correction of facial growth problems is important in young children to prevent further growth problems and bite problems as your child develops. 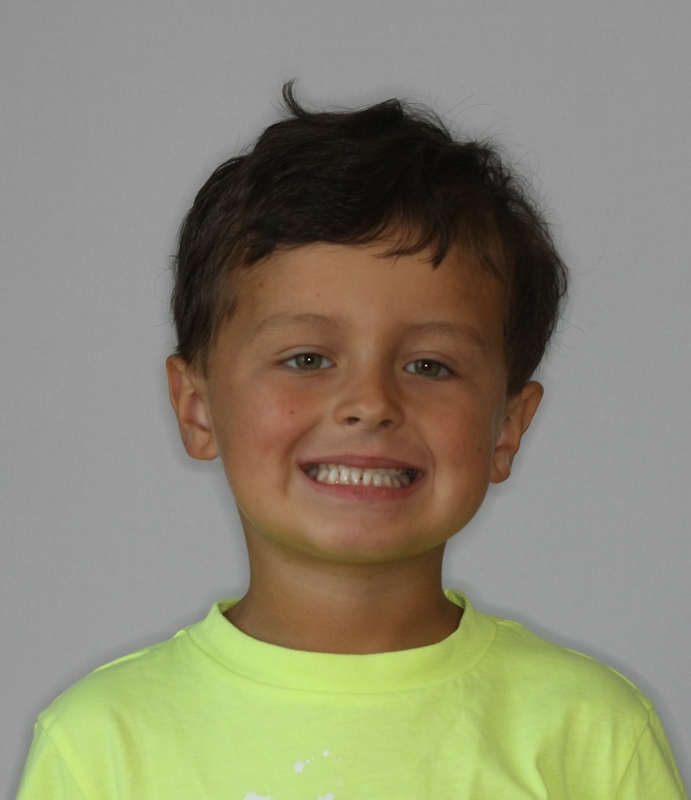 At age 5, before any permanent teeth were present in the mouth, Brayden developed a functional shift forward and to the right with his lower jaw bone. Brayden's problem was that his lower jaw was wider than the upper jaw and the teeth simply would not fit together in a normal arrangement. Brayden adapted as any child would be sliding his jaw to any place his teeth could fit. For Brayden, that was a slide forward and to the right. 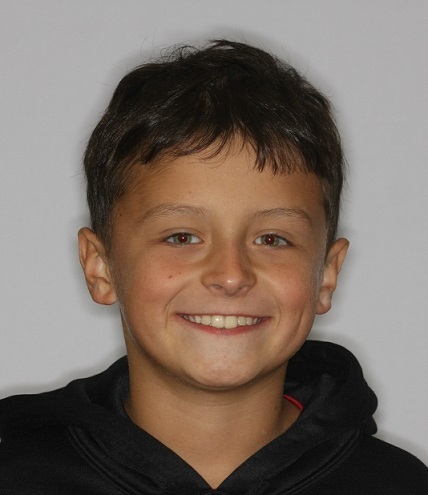 If you look at the photo of Brayden's face you will see how the angle of his smile is tipped and you will also see that his head is tipped following the misplaced lower jawbone. Notice the tips of Brayden's ears and how they are unequal. Brayden's face is not our of proportion but his head is canted to the left due to the influence of his bite problem on his neck structures. These problems, left uncorrected, would continue to influence his growth and development in a very negative fashion and lead to permanent deformation of the face, head, neck and jaws and many long-term problems. 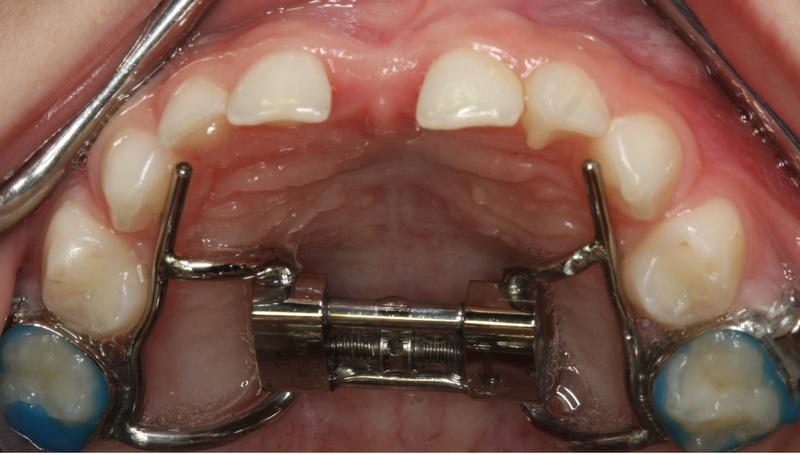 You can see in the bite photo how Brayden's lower jaw has come forward and out to the side in the close-up photo. 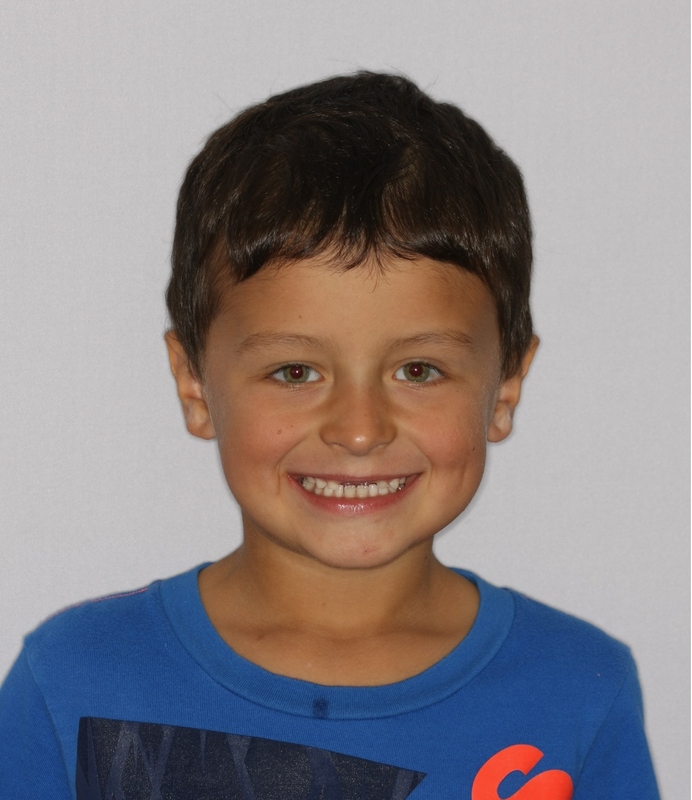 Brayden was treated with a Hyrax appliance which expanded the upper jaw bone to the dimensions of the lower jaw. 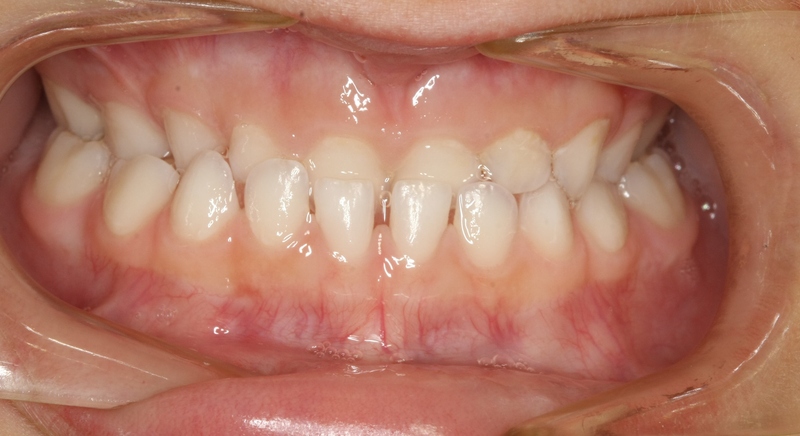 Notice the "before" and "after" expansion of the upper jaw bone, you will see the space between the upper front teeth that has developed as the right and left side of the upper jaw have seperated and the jaw bone has been expanded to a wider dimension. This separation will naturally grow together with time. Brayden's head posture has also improved significantly due to correction of his displace jaw position. 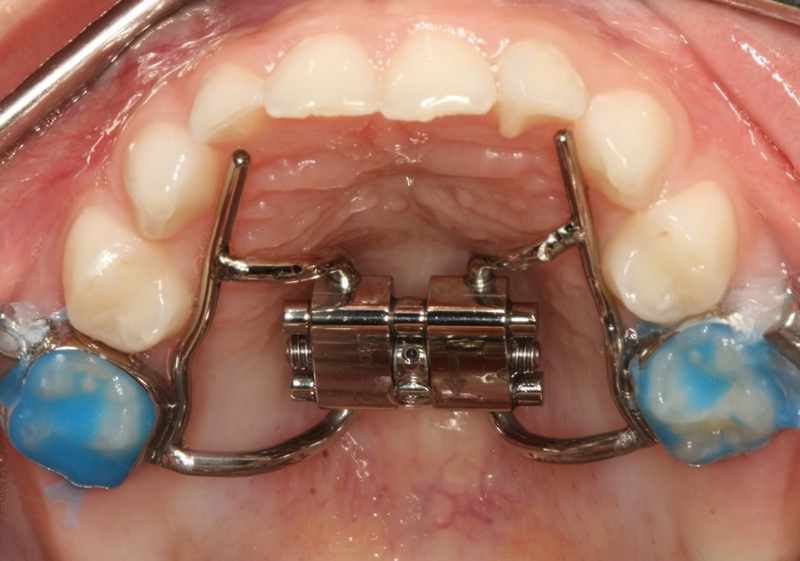 Brayden still had difficulty fitting his teeth together properly so braces were bonded to his upper four baby incisors to move them forward and allow the lower jawbone to fit neatly within the upper jawbone. 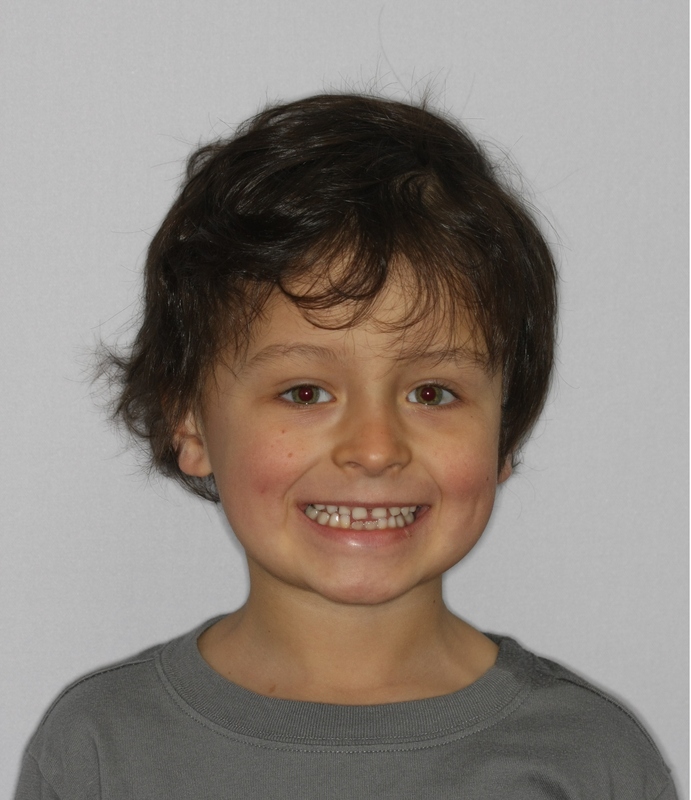 Fifteen months after beginning treatment, Brayden has begun the exchange of his baby incisors with his permanent incisors, his head and neck posture has improved, his bite position has normalized as has his lower jaw posture. Brayden's facial growth, bite and smile are now developing noramlly, and his face looks great! Look at him now!!! Beautiful smile! !